Although I'm a fan of quirky and unusual jewellery I also like more traditional dainty silver or gold pieces. When I spotted a new jewellery brand on Twitter that I liked the look of I eagerly waited for their website to be launched so I could take a look at the sort of jewellery they would have on offer. The Alexi website was launched a couple of weeks ago and they kindly sent me a pair of their Mini heart earrings* in rose gold. I haven't focused on the packaging that the earrings came in because when I received these they hadn't yet received the packaging they'll be using in the future, but if you'd like to take a look at it you can find a picture over on their Instagram. Most of Alexi's pieces are available in sterling silver, gold or rose gold finishes and although I'm usually either a sterling silver or white gold person the rose gold earrings really caught my eye. 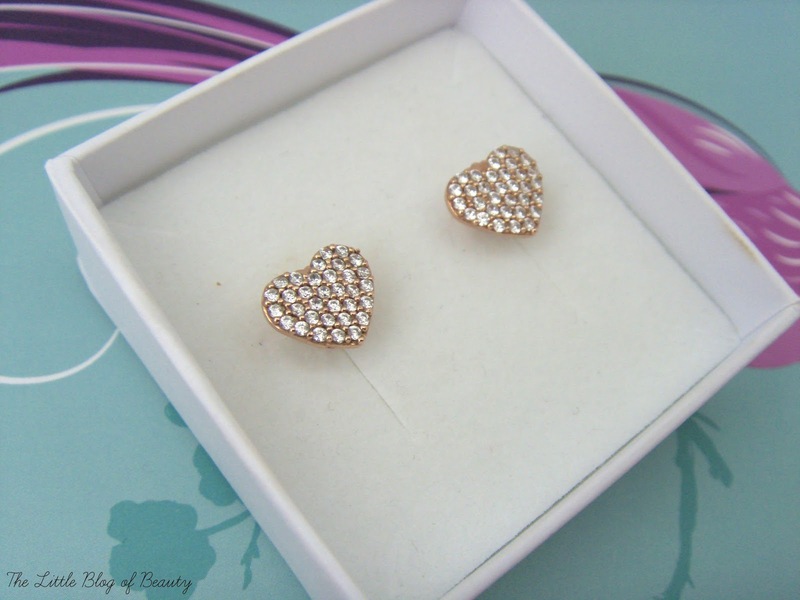 The Mini heart earrings are part of Alexi's first Signature collection. At the moment there is just one other collection on the website called Brooke, but further collections will be released before the end of the year. 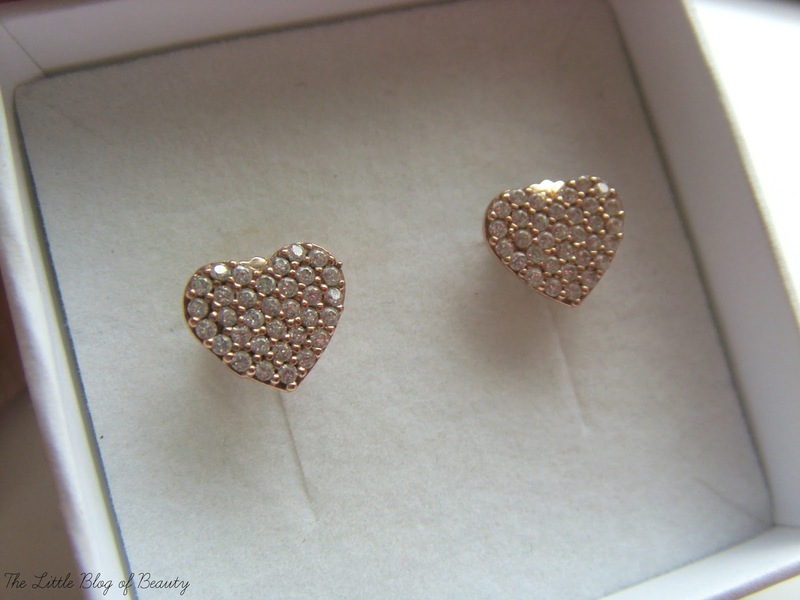 These are sterling silver with rose gold plating and they contain cubic zirconia stones that are pave set. They measure 10 x 7 mm and on me they fit perfectly on my ear lobes. They have good sized butterflies on the back that also have a grip around the edge, so they're good if you find the tiny little butterflies some earrings come with a bit fiddly. I thought these might be a little too big for me to sleep in, as usually anything larger than a small stud I'll take out before going to bed, but actually I've found these really comfortable when sleeping so I tend to just leave them in. After having had a little look around the website my other picks would definitely be the Mini star ring from the Signature collection which is just £19 and the Freya round pendant from the Brooke collection which is £33. 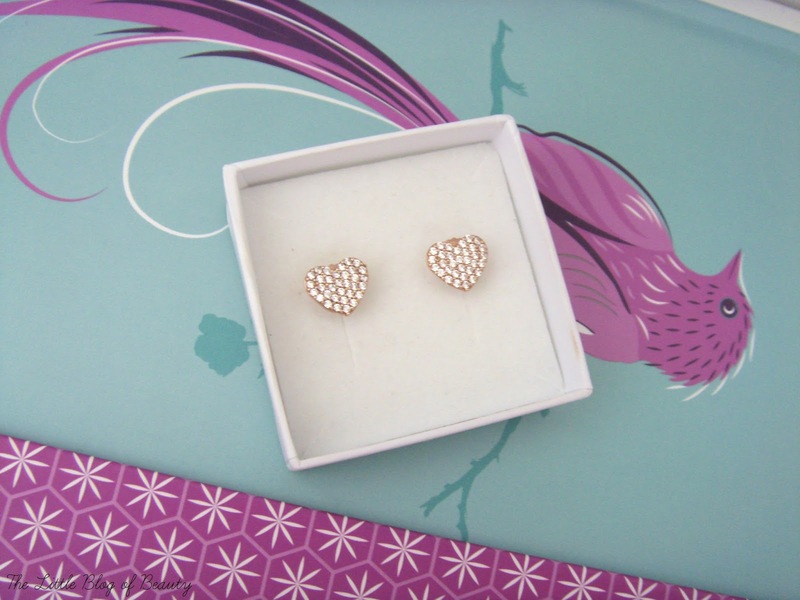 The Mini heart earrings are £46 however Alexi are currently offering 20% off your first order with the code WELCOME2. You can find the brand new Alexi website here. What sort of jewellery do you like to wear? Those are absolutely adorable! And perfect for everyday wear!